I am going to try to post different things on different week-days. This will keep blogging fresh, just as changing up running locations and workouts keeps you wanting more. This will be the layout until I decide to change or tweak it. Motivational Mondays: I will find some good phrases or images that motivate the runner to be the best they can be. Some readers may see this as a girly subject. I kind of do as well, but it went well with the word "Monday". I'll try to man it up a bit. Man Up Monday: Quit your whining and go run. Tricky Tuesdays: There will be a trick every Tuesday to make you a better runner. Whether it be what to eat, how to run, what to drink. These are things that I find help me. Worship Wednesdays: I pick a famous or not-so-famous person that has an inspiring story and interview or write about them. This should help me expand my knowledge of other runners and can help in other days when I pick up tricks from them! Thoughtful Thursdays: I write about aspects of running that are on my mind and my stance on them. I come up with some great ideas during my long runs, especially when I chat with my Dad and Mitch. I would like to get these in writing. Fun Fridays: I do something or plan to do something fun to change it up. Maybe introduce something quirky into my workout, then write about it if it helps. As you can see, this is more than just barefoot running. 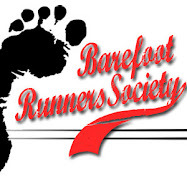 I hope to sometimes benefit everybody, but always benefit the barefoot or minimalist runner. Chances are I won't be able to post everyday, but when I feel like posting I will most likely have a topic to write about. EDIT: I like my dad's suggestion of "Man Up Monday".